I recently published my Super Smash Bros fan trailer “Mario Jumps Into Battle” ready for the upcoming Nintendo Wii U and 3DS games, its here on youtube in case you missed it. I’ve put together some materials from the production of the video to share the process. 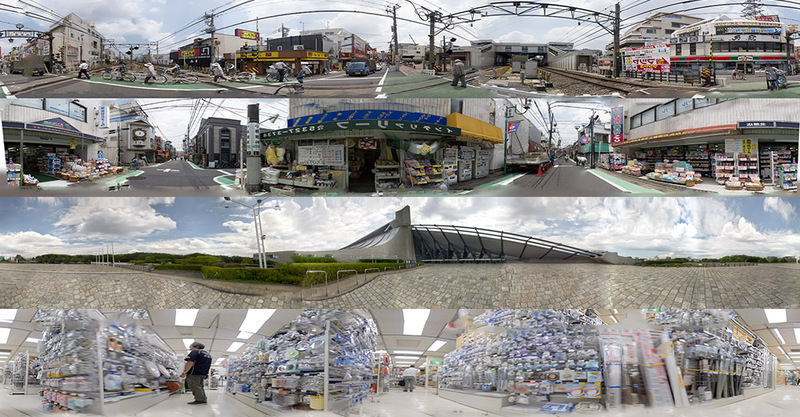 Shot on the Panasonic GH3, filming at various locations across Tokyo, I also captured reference photography and created spherical HDRI images of all the locations to allow me to recreate the lighting in 3D. More on my kit list can be found here. Using only my laptop, I spent the following 4 weeks working intensively on the project during the day and rendering over night to get full use of the limited machine time I had and complete the project as soon as possible. To stay true to the games I used the model from the Smash Bros Brawl Wii game as a base reference and worked on the textures to ready the quality for full HD rendering. Using a reference based workflow in Maya, I was able to rig on the fly to make changes during the animation stage, for instance creating additional blend shapes as needed, rather than creating a huge range of shapes that I wouldn’t necessarily use. This, combined with using a separately referenced look development scene to control the shaders and lighting, I was able to make changes to the characters look in every scene by changing one file. 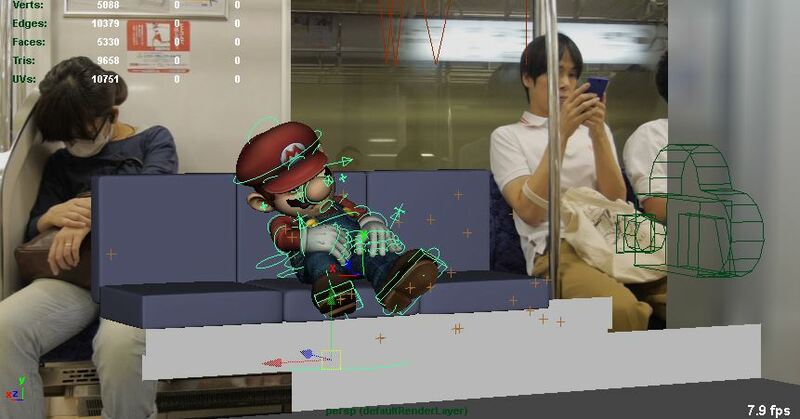 Mario taking a nap on set! Before animation though I had to track the scenes to reproduce the camera move in 3D. This wasn’t easy due to the guerrilla style filming, I wasn’t able to put down tracking markers, so some shots needed some serious manual work to get them locked in. I’m a big believer in using reference footage as a basis for animation, so I’m used to acting a fool on camera and this project was no different! Several of the shots are based on a run so I created a quick run cycle to give me a starting point before adding on the details. My lighting setup was fairly straight forward with the HDRI images I captured on location and a few lights to mimic what was really there. Along with final gather, ambient occlusion and a variety of passes available to me I could tweak the character as needed in compositing to integrate him into the back plates. All in all it took over 60 hours of rendering time to bring Mario to the screen, though my laptop is hardly a super computer! There was also quite a bit of rotoscoping required in the comp stage for Mario to run in between people and behind obstacles and so forth. 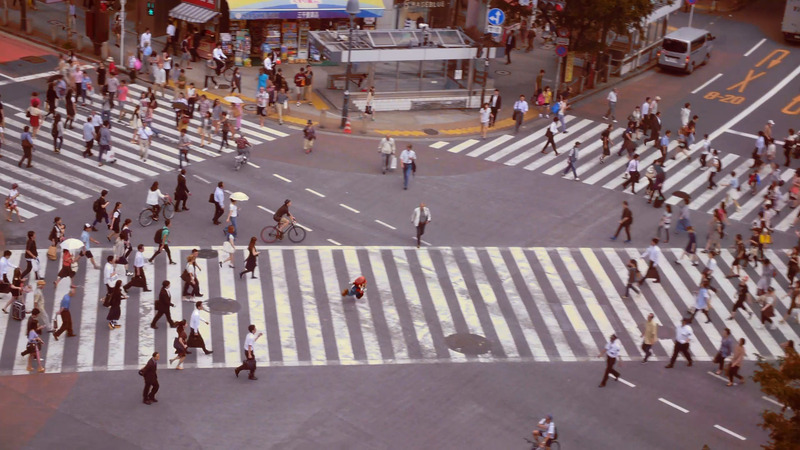 The video below shows an example shot with a rough breakdown of the process from the initial footage through to completion. Last but far from least is the audio. It is 50% of the final product so I dedicated quite some time trying to get it right. I chose to use the music from Smash Bros Brawl on Wii as I always loved it and I felt it went better with the visuals than the Wii U/ 3DS trailer music. 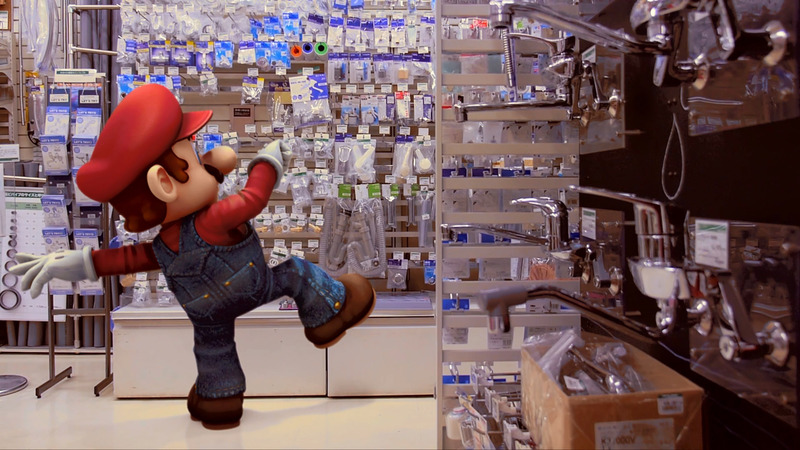 I scoured the internet to find some iconic Mario sounds and voices to help bring him alive and also went out and recorded a bunch of Foley myself, such as foot steps and slides. I am not professional sound artist, but being a personal project I wanted to do it myself and try to put together sounds that carry the action on screen, I hope it worked! Mario swipes his Suica card on the proxy 3D geometry. After uploading the video, the massive positive reaction from everyone online has been amazing! A huge thank you to everyone who has viewed my work, shared on youtube, twitter, facebook and so on, you guys have made all the hard work worth while. I had a lot of fun creating this project and it was great work on every stage from filming to colour grading. I hope that I’ve kept the Smash Bros and Mario fans out there happy and I can’t wait to get my hands on a copy of the new games when the come out later this year.